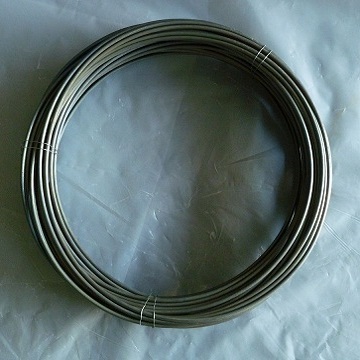 We supply Super Fechral Wire, this product has much better properties than all other Fechral/FeCrAl alloy Wires made in China. It is made with powder-metallurgical and dispersion-strengthened technique. This is the same technique that Kanthal wires was produced with. Basing on our experimental data, our super Fechral wire is better than Kanthal D wire and Kanthal A-1 wire on every aspect, such as the working temperature, anti-oxidization ability, plasticity, working life, etc. Though it is still not as good as Kanthal APM wire, but it is definitely a good choice for replacing Kanthal D and Kanthal A-1 wire considering its lower price. To prove it, the best way is trying it yourself; we can provide free sample. This product has the potential to save you a lot of cost. Min – – – 22 – Bal. Super Fechral Wire is typically used electrical heating elements, such as industrial furnaces, high temperature furnace, vape wire, etc.